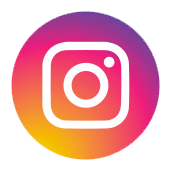 Discussion in 'Disneyland (California)' started by figment_jii, Nov 9, 2018. I'm down in Disneyland for a quick trip. The holiday season just started and there are so many cute, new things! 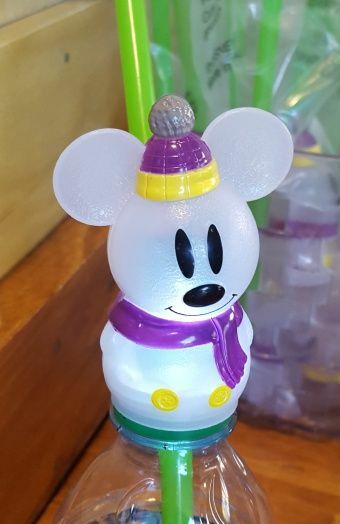 Mickey Snowman Light-Up Bottle Topper: available at many of the stands that sell bottled drinks. 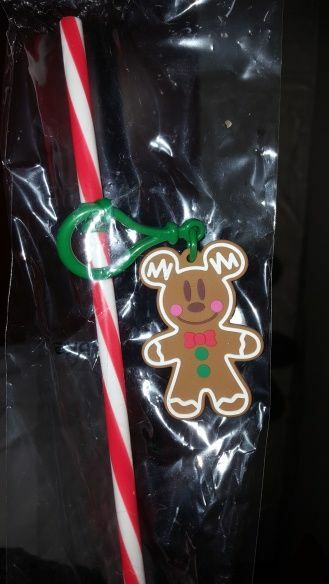 Mickey Gingerbread Straw Clip: available at many of the CS and carts. Snowman Ornament Stein: available at most of the same places as the Poison Apple Stein. Round Popcorn: DCA's features pixar characters. DL's has Mickey and friends. Travel Mug: readily available, same design in both parks. 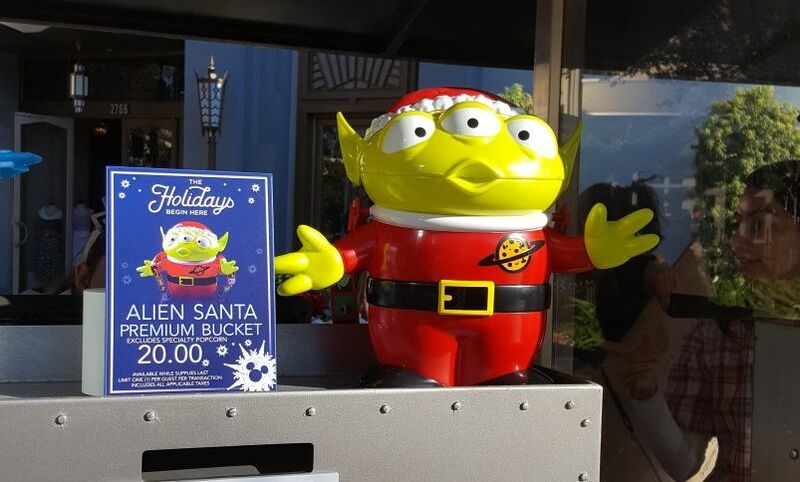 Santa Alien Popcorn: available at all of the popcorn stands in DCA. BVS had a consistently long line, but the other stands were less busy. In DL, it's also available in Tomorrowland. Pluto in Red Sweater Popcorn Bucket: available at the stands in DL. 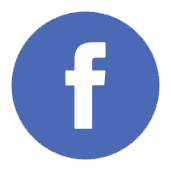 I'm addition, there are some older items still available. Pumpkin Tire: still available at Flo's and at the Cozy Cones. Nemo and Dory Tumbler: available at the drink stand near Silly Symphony Swings. Baby Groot Sipper: available at the stand near Gaurdians. 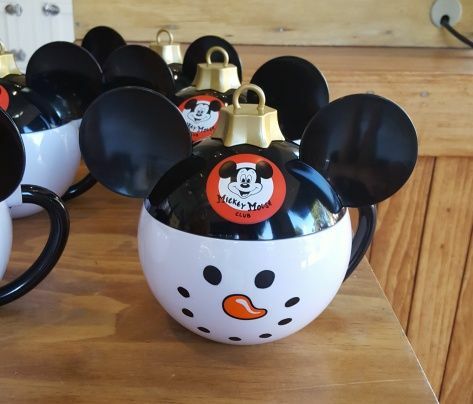 Starbucks: NOS and Adventureland YAH mugs are still available. DCA has the same mug that they've had for awhile. Headless Horseman Clip: still available at Galactic Grill. Galactic Grill also has the Chewie Stein, Phasma Stein, and BB-8 Sipper. Sip & Savor Pass is $49 for AP and $58 for non-APs. It comes with 8 tabs. Same basic set-up as last year. millie0312 and Elsaspiritanimal like this. That bottle topper is adorable - it's definitely coming home with me! Interesting that the Sip and Savor pass is less expensive for APs now that it’s available to everyone! Although I see they raised the price this year, so still more expensive than last year’s pass. The non-AP Sip n Savor almost seems like it would have minimal savings unless they have really increased the prices of the individual items. Thank you for starting this thread and for the photos! 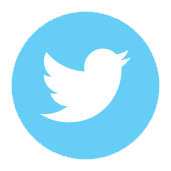 I was looking forward to seeing if you would post today. I didn't see anything different (yet) today. The Santa Alien and Plutos are still in stock, as is the ornament stein. The park feels a lot more crowded today than yesterday. Those bottle toppers and straw charms are adorable. I told DH that I am an awful person for like them so much! 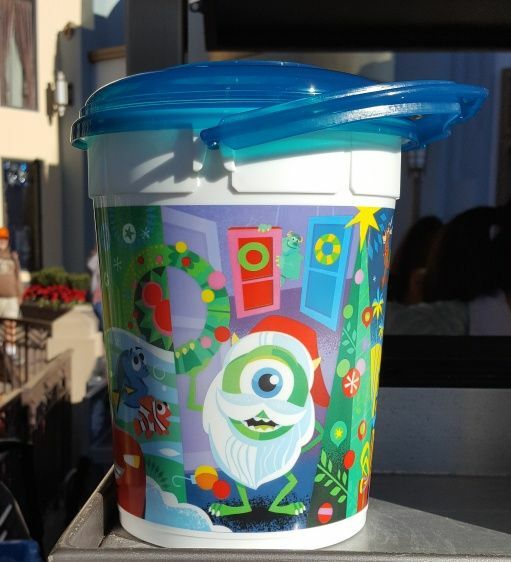 The Festival of the Holidays also has a Souvie tumbler available at select kiosks, but I think it's the same as last year. Yep, I saw a picture of it on WDW News Today, and it's the same (I bought it last year). I did the math for the AP sip and savor pass. 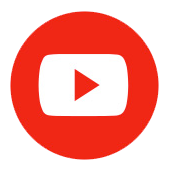 There are 8 tabs, so as long as you get an item that is over $6, you should save some money. Plus it can be used throughout the Holiday season. I'm going next week too, and not planning to spend additional money on food, just use tabs from the pass. The items do look pretty pricey. I tried the pot roast on the potato roll and that was $8.50 If I didn't have the pass, I would not spend my money on it since it's so small. Yes I liked it. Wish it had a little more seasoning, but the toppings for it added some flavor. I really want to try the Masala soup! It smells amazing!! Sunday Update: I didn't see anything different today. The Santa Alien and Plutos are still in stock, as is the ornament stein. The Gingerbread Straw seems to be a bit harder to find (compared to the bottle topper).